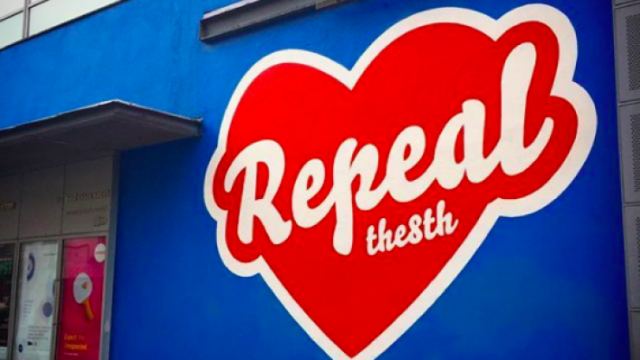 Tonight, everything you need to know about next week’s referendum on the Eighth Amendment. Wow, Claire. Everything I need to know? Let’s just say that this was the first of several assertions featured in the programme whose factual accuracy proved to be somewhat questionable. The Irish Times said the show provided “more heat than light”. Actually there was more noise than anything else. What better way to arbitrate one of culture’s most fraught moral debates than by arranging a studio-audience clapometer? The harder and faster they clap, the more they win the argument. And why limit the exercise to clapping? Whooping, cheering, and mock-laughter can also be quantified. We can draw our conclusions from the decibel level. I have great respect for Claire Byrne but her team let her down tonight – the show was poorly planned, disorganised & quite frankly like a circus. Senator Noone chaired the Irish parliament’s Joint Committee on abortion, which for three months heard testimony from medical and legal experts, as well as personal stories from families affected by Ireland’s abortion ban. She attracted widespread praise for the Joint Committee’s sophisticated findings and compassionate legislative recommendations. She was forced to sit beside TD Mattie McGrath, whose contributions to public discourse on abortion in recent months included a feeble joke about Senator Noone being “a fat lady”. This broadcaster-imposed juxtaposition was frankly stomach-churning. In the middle of it all, holding her head while so many about her seemed to be losing theirs, was Claire Byrne, appealing to participants to “refrain from calling people liars”. Actually, I have a big problem with this insistence on absolute decorum. According to this attitude, nobody can ever be called out as a liar. The implication is that everyone always speaks the truth. It seems that RTÉ don’t need a Fact Checking Department, because on their shows, all the statements are deemed factual ab initio. There are no liars in Ireland! Democracy is at its most precarious when crowds are whipped into frenzies by authoritarian agitators who peddle untruths, exploit emotions, and bait opponents with slurs. This devastating hazard is as old as democracy itself. It is precisely why fact-checking — which inherently requires us to call out liars for what they are — is so important. The insistence that nobody is lying seems to be RTÉ’s way to ensure that everyone on their shows feels equal, even when their arguments are not. We need to re-evaluate what balance means. If we were having a referendum on a global warming issue, would the debates feature scientists and guys who just think it’s good that Ireland will be warmer now? If the referendum was on introducing a constitutional right to bear arms, would we be watching security experts versus Pistol Pete? If we had 100,000 doctors on one side of a medical issue and 100 doctors on the other, would the televised debates still be 50/50? Because that isn’t balance. That’s putting your thumb on the scale. How can we force balance when issues are inherently imbalanced? Issues don’t automatically become a 50/50 split just because a referendum is Yes or No. The only way is to sacrifice facts, honesty, journalistic integrity and other such nuisances in favour of the disaster we saw last night. Opinion polls and bookies continue to suggest that the referendum will be carried next week. But if it is somehow defeated, it will be because of a late swing of undecided voters who make up their minds in the midst of the noise levels surrounding them in these final days. If that happens, then those who tell us it that ‘liar’ is a dirty word will have a huge amount to answer for.